The children’s reaction to the toys for boys / toys for girls branding was not as expected. Girls actually learned more about engineering from the toy for boys, and boys learned more about engineering from the toy for girls. 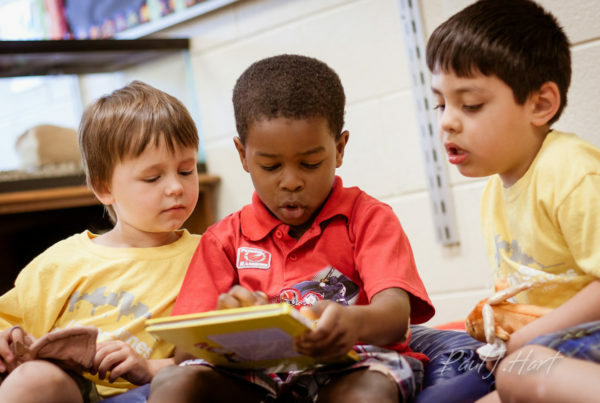 Early gendered play is a source of long-term learning that influences future development. Children five years old and younger tend to play with different toys— “toys for girls” and “toys for boys.” They also tend to play in single-gender peer groups. Children of this age are highly sensitive to social cues and will avoid toys that they perceive as inappropriate for their gender. As children of different genders selectively gravitate to different types of toys, they develop different skills, and both miss out on opportunities to develop skills associated with the other gender. An experiment with five-year-olds and their mothers tested both the children’s and adults’ reactions to toys for boys and toys for girls by branding a single engineering toy in two ways – for girls and for boys. The children were not influenced by the toys for boys / toys for girls branding in the way the researchers expected. But their mothers showed more stereotypical responses. The children showed no preference for the toy branded as for their own gender. When left to play with the toy on their own, boys and girls did so similarly. Moreover, girls learned more about engineering from the toy for boys, and vice versa. When presented with further toys for boys and toys for girls, both boys and girls were content with neutrally branded toys, preferring them and their own-gender branding to other toys. Mothers similarly showed more interest in buying neutrally branded toys. Based on these observations, the researchers questioned the value of the heavily branding toys for girls and for boys. Neutral branding is popular with both children and the parents who might buy the toys. Color is a key social cue for gender coding. In other research, children as young as three have shown responsiveness to gendered color coding. Combined color with verbal cues – adults saying which toys are preferred by which gender – has a powerful influence on children. Like the manufacturers, parents too categorise toys for boys and toys for girls. These categorizations not only affect which toys parents buy but also how they guide the use of the toys when they are playing with their children. One experiment showed that mothers engaged in higher-quality puzzle play with prekindergarten-age sons than with daughters, using more difficult puzzles and more spatial language, and engaging more intensely in the puzzle. Toys related to science, technology, engineering and mathematics (STEM) are particularly likely to be branded as toys for boys. In response, STEM toys for girls have been created. One such toy is GoldieBlox. Developed in 2013 as GoldieBlox and the Spinning Machine, the toy combined the spatial aspects usually targeted towards boys with story-telling, which is popular with girls. Goldie is a “girl inventor” who wants to build a machine to spin her animal friends around like a ballerina in a jewellery box, a goal she meets by assembling a series of belt drives. The story includes instructions about how to do this. A consumer survey found 98% of these toys were indeed purchased for girls. In this experiment, a nearly identical toy was rebranded as a toy for boys called BobbyBlox. Goldie became Bobby, and both color and language were changed to match the gender change. The experiment involved 61 mother-child pairs, 31 with girls and 30 with boys, all randomly assigned to either GoldieBlox or BobbyBlox. The sample was more highly educated than the average for the USA, drawn from an area surrounding a large public university. The researchers took video and coded three sessions. First, they observed the mother for five minutes preparing to play with the toy while the researchers were chatting informally with the child. Then the mother and child were given the toy to play with together for 15 minutes. After this, children were observed playing on their own with the toy for seven minutes. Then the children were given two tasks, one simple and one more difficult, to construct a system using the materials from GoldieBlox/BobbyBlox. Finally, both mother and children were separately asked how they liked the game, how interested they were in the other-gender version of the toy and how much they liked 15 other construction/STEM toys, variously branded as for boys, for girls, and neutral. The researchers found a range of different responses by the gender of the toy and of the child. Overall, the parents’ responses were more stereotyped than the children’s. The packaging influenced how mothers engaged with the toy. They engaged more in building activity when playing with BobbyBlox (though the packaging made no difference to how they used the storytelling). Mothers also engaged in more building with boys and more reading with girls. The branding didn’t affect how the children played freely with GoldieBlox and BobbyBlox when left on their own with the toy. Overall, girls enjoyed both toys more than boys did. Perhaps this was because the story appealed to them more. The researchers also raised the possibility that the girls responded more positively to researchers when interviewed after the play session. When playing with BobbyBlox, girls referred to the book more than the boys did. This could be because they had already developed more interest in reading than boys had, or, alternatively, because they were less confident than boys when encountering a toy that boys would be more familiar with. Meanwhile, mothers rated the educational value and the boy’s/girl’s enjoyment of each toy similarly. In contrast to researchers’ prediction before the experiment, children didn’t learn more from the toy branded to their own gender. 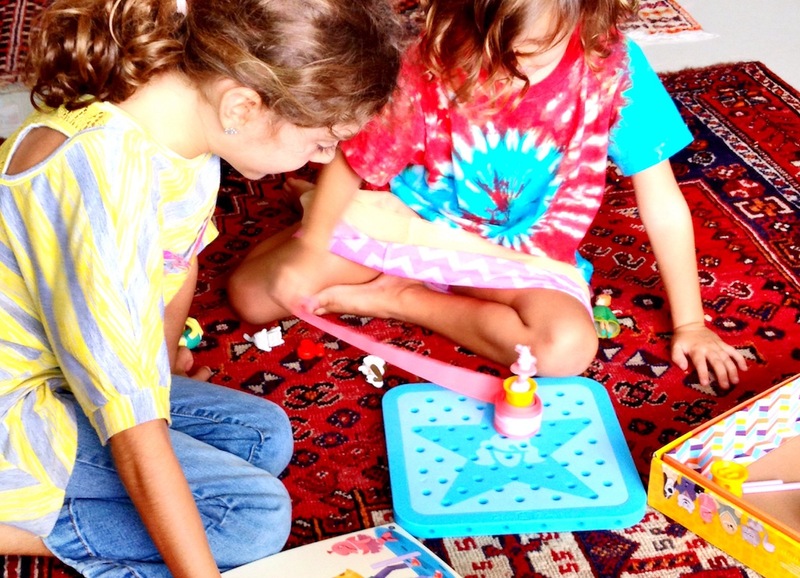 Indeed, the opposite was true: girls learned more from BobbyBlox and boys learned more from GoldieBlox. The boys and girls showed no difference in how they tackled the more difficult of the two engineering challenges they were presented after playing with GoldieBlox/BobbyBlox. Boys completed the easier task a little more quickly than girls, possibly because of more previous experience with this kind of game. When shown other variously branded STEM toys, both children and parents liked neutral toys, though both avoided opposite gender toys. Overall, mothers were more interested in neutral toys than in toys for boys or girls. Children’s reactions to these new toys was not influenced by their prior experience with GoldieBlox/BobbyBlox. Two findings – that boys and girls learn more from opposite branded STEM toys, and that mothers (the purchasers) prefer neutral toys to toys for boys and toys for girls – raise questions about the practice of gender-branding toys. Considering that parents’ responses to the toys in their play were more stereotypical than their five-year-olds’ were, these findings challenge both parents and toy manufacturers to think differently. Header photo: Jabiz Raisdana. Creative Commons.